January may be the best time for music-lovers to visit Austin, especially if “free” is in your list of requirements for good music. Free Week happens every year in early January in the Red River Cultural District and hundreds of bands participate in it. It occurs in multiple venues all around Austin. So consult free week for more details on where to go when. The most popular event in March in Austin is undoubtedly SXSW®, an annual music, film and interactive conference. But, there are also many other great events going on. The Star of Texas Fair and Rodeo is also very popular and runs for two weeks. 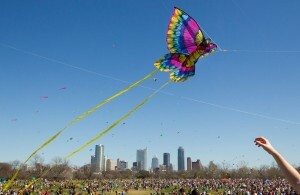 The Kite Festival is more family-friendly fun. The weather is beautiful and it really is the perfect time of year to be on-the-go! The Pecan Street Spring Festival Historic Sixth Street is a free family event. It is, in fact, one of the oldest and largest art festivals in Central Texas. Local musicians, food vendors, artists, and craftspeople turn Sixth Street – historically called Pecan Street – into a lively street fair where there is something for people of all ages. 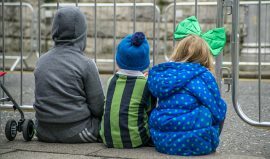 Every other Wednesday from late May to early August, Zilker Park will be filled with thousands of people, blankets, lawn chairs, families and music lovers. As Austin’s largest FREE concert series, KGSR’s Blues on the Green is consistently ranked as a top annual entertainment event, and has become a staple of the Austin lifestyle and a very casual and comfortable experience. The state’s largest motorcycle gathering attracts thousands of bikers for rides, parades and music. Juneteenth celebrates the emancipation of slaves in Texas following the end of the Civil War. Festivities include pageants, parades and a battle of the bands. Keep Austin Weird reflects Austin’s creativity and culture through music, family activities and local food vendors. Spend Independence Day with this annual show by the Austin Symphony Orchestra at the beautiful Circuit of The Americas (COTA)! 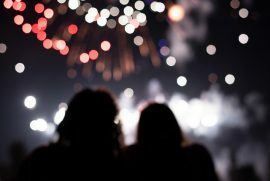 This is a variety of fun, old-fashioned July 4th holiday activities, including interactive games and contests for the whole family. The orchestra performs some of the traditional favorites, followed by “mile-high” fireworks at approximately 9:30 p.m. The event is usually free and open to the public. Austin is known for its bats, and the Bat Fest located at Congress Avenue Bridge celebrates the little guys. 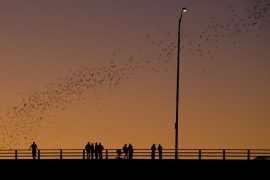 Known as the world’s largest urban bat colony (1.5 million Mexican Free-Tailed Bats which take up seasonal residence beneath the Congress Street Bridge), the bats take to the skies for their nightly flight. Enjoy live music, children activities, a costume contest and more. If you prefer to see the bats with fewer bat fans, they take up flight most of the Summer as well. To see their schedule and get more details, check out the bat’s schedule. One of the country’s largest celebrations of live music is Austin City Limits Music Festival. Taking up two weekends, the six-day festival brings the magic of the famed public TV series “Austin City Limits” out to Austin’s most beloved park. More than 150 musical acts take over eight stages along with local food vendors, brewers, artists and pop-up shops and artists. It is very popular and widely attended and, in some circles, considered the “place to be” in early October. The Austin Film Festival is recognized as one of the top film festivals in the country. Yes, that’s right, and it happens at our own Paramount Theatre in Austin, Texas. This cinematic event features both top-billed films and indie films. If you are a film-lover, this festival is for you. Calling all race fans, the FORMULA 1 United States Grand Prix race takes place in October at the Circuit of The Americas. International drivers compete to take the top prize on the prestigious track, and fans come from all over the world to watch. This event promises three days of racing, camping, live music events and more – including headlining performances by stars like Justin Timberlake. 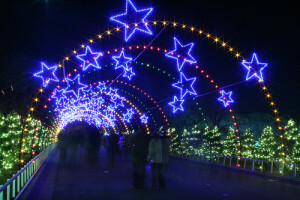 The Trail of Lights rounds out the year with holiday spirit extraordinaire, lighting up the season with a celebration of amazing sights, memories, and fun. Plan your visit early and don’t forget to take a spin under the Zilker Tree!